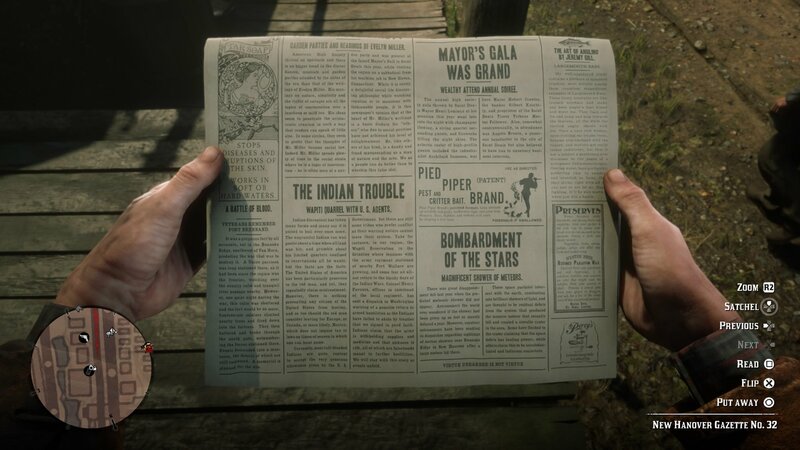 You're going to need to purchase plenty of newspapers in Red Dead Redemption 2, if you want to find every available cheat code. Just like many Rockstar games before it, Red Dead Redemption 2 features a fairly sizeable list of cheat codes for you to find and use. In this Red Dead Redemption 2 cheats guide, we'll be walking you through a complete list of all the available cheat codes in the entire game, as well as detailing how you'll need to go about unlocking them. But if you instead need any additional information on Rockstar’s wild west prequel, you’ll want to head over to our full Red Dead Redemption 2 guides hub. Here you can find a beginner’s guide, tips and tricks, and much more. Does Red Dead Redemption 2 Have Cheats and Cheat Codes? 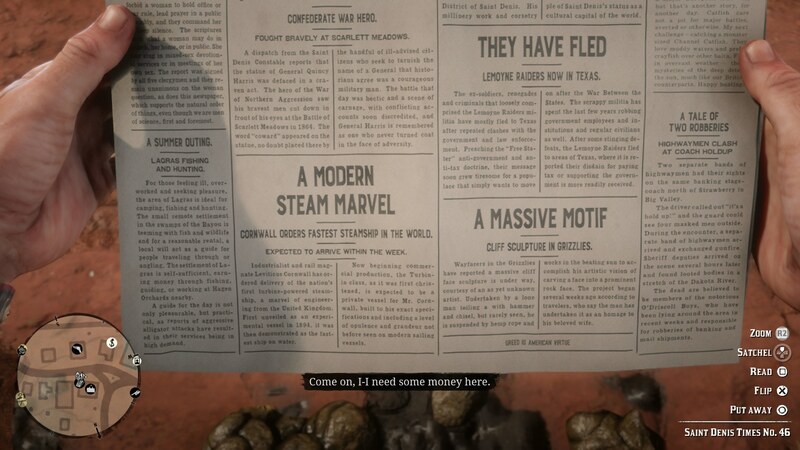 Is There a Money Cheat in Red Dead Redemption 2? If you're hoping Red Dead Redemption 2 has cheats, like those in the original game and in the GTA games, you're in luck. Red Dead Redemption 2 does include a number of cheat codes. These codes unlock numerous items or abilities, such as spawning horses and infinite ammo. 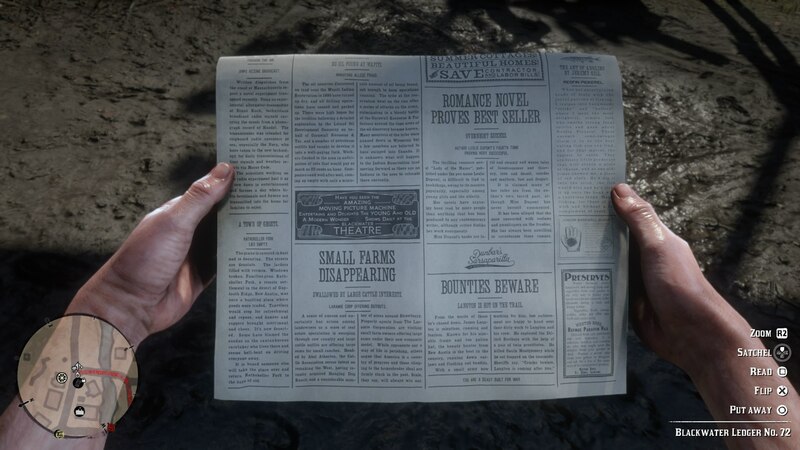 A word of warning though: while there are cheats in RDR2, many of them need to be 'found' first in order to be used in the game. We've got all the details for you right here. Before we get onto the list of Red Dead Redemption 2 cheats below, it’s worth noting a few things. Firstly, you can’t save your game while cheats are active, and you also won’t be able to earn any Achievements or Trophies while cheats are turned on. Some RDR2 cheats also need to be found in the game before you can use them, even if you know what the cheat code is. To activate a cheat in Red Dead Redemption 2, you firstly need to pause the game. Now, head to the Settings menu, and press Y/Triangle. You can now see a complete list of all the locked cheats in the game, and you can press Y/Triangle again to enter a cheat code. Just below, we’ll list out all the cheat codes that we’ve discovered so far in Red Dead Redemption 2. Unfortunately, you need to find the corresponding newspaper that unlocks some of these cheat codes. 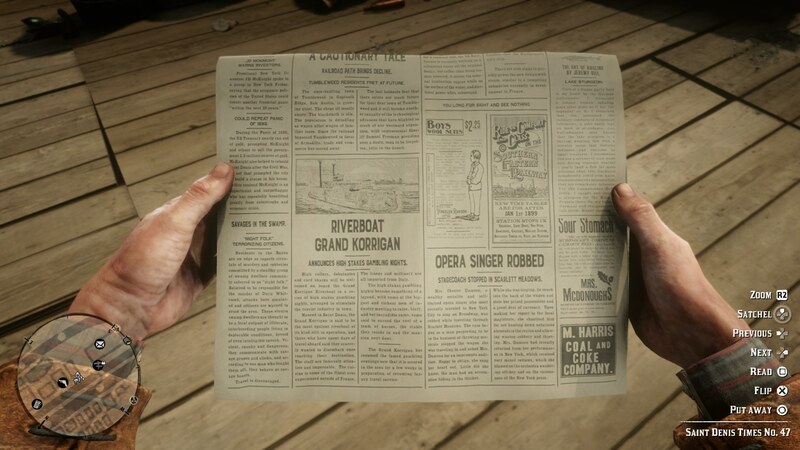 Head to a newspaper seller on the map, purchase all available newspapers, examine each one from your satchel, and flip them over with the X/A button. 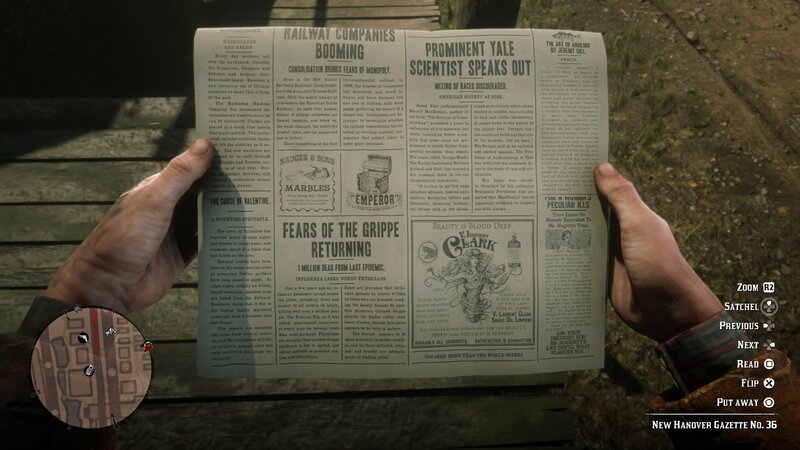 Zoom in on the bottom of the flipside of the newspaper, and if one of the sayings below is found at the bottom of the newspaper, you can now activate it in the settings menu. 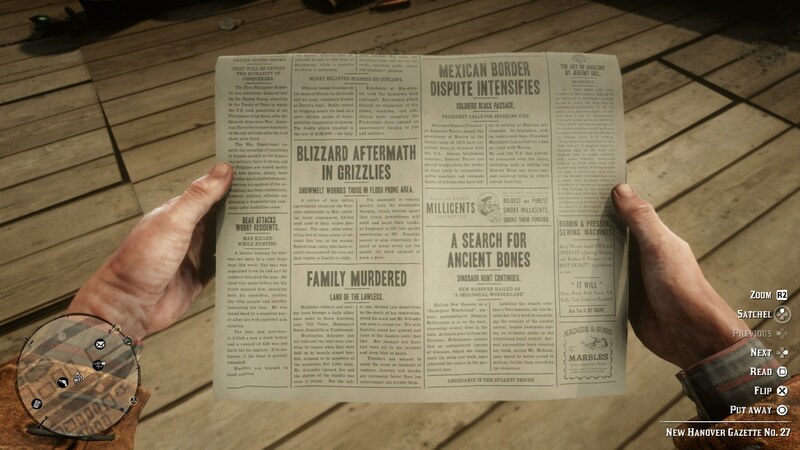 You'll notice above that some Red Dead Redemption 2 cheats carry a "no newspaper required" note. 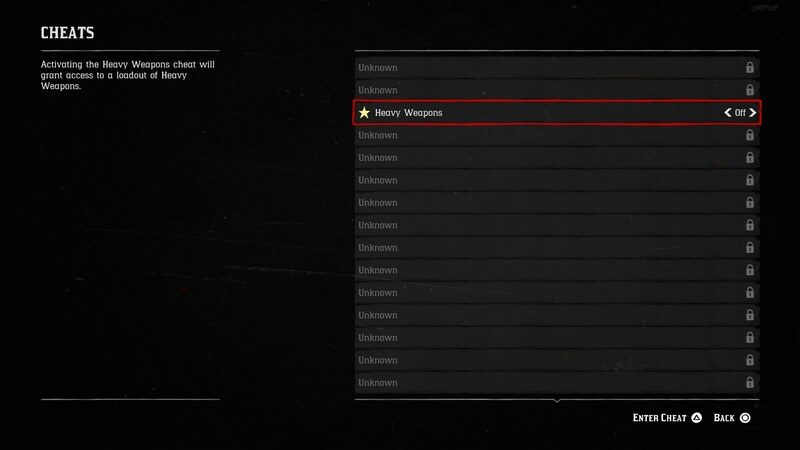 For these cheats, you don't need to require anything at all in Red Dead Redemption 2, and you can go about entering them as soon as you begin Arthur's adventure. Enjoy! 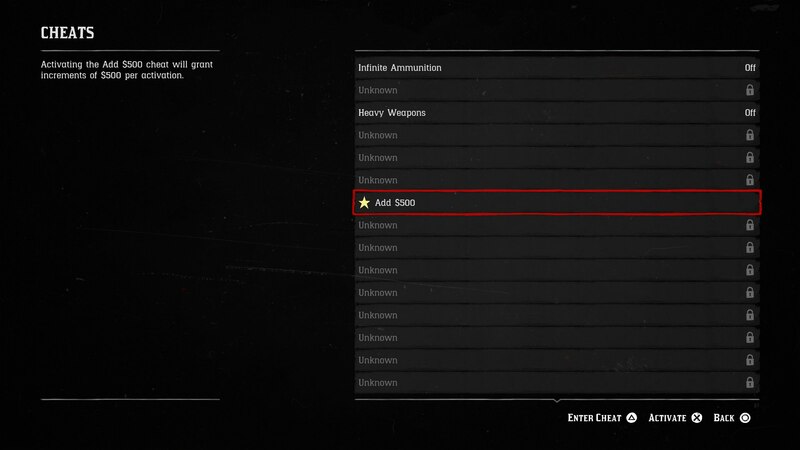 If you are hoping to be able to enter a cheat code in Red Dead Redemption 2 in order to get infinite money, it seems like that won't be possible. But, there's instead a single code, as you can see in the table above, that grants you $500 immediately, whenever you choose to activate it. The code for this cheat is 'GREED IS NOW A VIRTUE", which luckily doesn't require a newspaper for you to unlock. We’re now all wrapped up with this Red Dead Redemption 2 guide on how to enter Red Dead Redemption 2 cheats, we’ll be updating it whenever we come across any additional cheats for Rockstar’s game. You can now head over to our Red Dead Redemption 2 Map guide, or our Red Dead Redemption 2 Honor guide for more.